WoodSongs and their TV crew are winners of the 2012 TELLY Award for Broadcast Excellence. They have accomplished miracles on borrowed equipment, scotch tape and super glue. But the clock is ticking ... if they don't upgrade to HD-TV soon they can lose not just the TV broadcast but the incredible opportunities for the artists, the music, the audience, Lexington and Kentucky that it will provide. And in a way, WoodSongs feels bad about asking. There are so many worthy causes to give money to. Why WoodSongs, then? Because art is important to our quality of life. Music and grassroots artists need to be heard, they need to find their audience. WoodSongs, even though run by volunteers, has become the biggest portal in the world between artists and the grassroots audience. Another reason is you: we live in a world drenched in a tsunami of two-dimensional music. We live among the first generation in human history to get most of its art and music that way. It's all emails, MP3s, iTunes, Google, YouTube, iPods, SmartPhones and computer downloads. 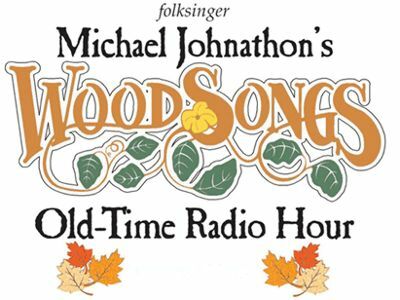 WoodSongs uses two-dimensional world to encourage families to pull out their guitars and banjos, to play and sing together ... just like the old days when neighbors would gather on front porches. In that way WoodSongs has become a global, multi-media front porch. Please make a Tax Deductible donation (WoodSongs Inc is a 501-c-3) and get a great reward in return. WoodSongs needs your help. If WoodSongs doesn't convert to hi-definition TV soon, they could very well lose the massive public television audience they have worked so hard to develop on behalf of the many artists who come on their show. WoodSongs intends to be successful! Imagine: Lexington, Kentucky will be the host city of a major broadcast with a total audience bigger than A Prairie Home Companion and the Grand Ole Opry ... combined. Can you help WoodSongs upgrade to HD-TV? It will be a huge benefit to unknown artists worldwide. You can help make it happen.